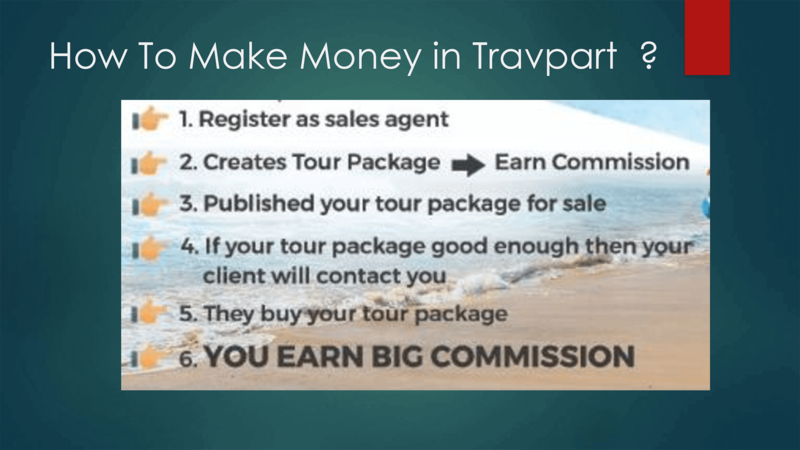 How Do You Make Money From Travpart? Some people have been wondering while figuring that someone out there can make a passive income, make money while traveling, or even while they’re sleeping, how do you make money so easily? I am pretty sure that that kind of question came across into your mind. Well, some of them do business while others take parts in social activity. In business, there are several jobs that people can do, and one of it is Travel Agent. Believe it or not, a travel agent is a business that makes a lot of money. They are a business that will always be needed by people. Their business is still full of customers even when the world is getting more modern than before. For some people rich is the key to happiness. We can’t lie that we need money to stay alive. A lot of things need to be paid by money such as food, clothes, houses, even water. Some people even willing to do anything to be a rich person quickly and some of them choose dangerous ways. In today’s article we will discuss on do you make money by being a travel agent. Being a travel agent has a lot of advantages, and one of them is being rich quickly. So, how travel agents make more money? Here are the secrets! We can’t doubt that travel is a really adventurous activity. A lot of people loves to travel, and this is the main reason why travel agents get rich quickly. They take care of the travel and every day there will be people that travel to somewhere, and it means they do a non-stop transaction every day, so they get fresh money everyday especially when it came to a holiday season or weekend. It will be a really big opportunity for travel agents to raise their prices, so they get more fresh money. Every tourist or local that go travel for the first time or go to a new place will be looking for the help of a travel agent. In this case travel agent always offer them a package deal. What is a package deal? A package deal is a package that consists of accommodation, hotel, destination, and food. They have several package deals, and they also have various prices for every package. The bigger the package, the price will be higher. This package was always taken by tourist or locals that don’t want to explore the place by themselves, or they don’t want to find difficulties by looking at a hotel, accommodation, etc. That is How Travel Agents make money the most. Speaking about a package deal, Travpart has a new feature that everybody will love. 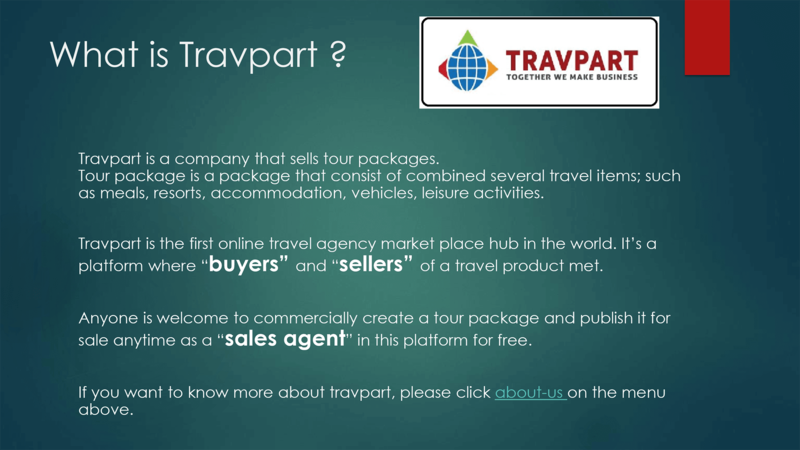 Travpart allows you to make your own tour package and sell it through its’ marketplace. How can we do it? It is so easy, isn’ it? The best thing is you can choose whatever you want. Travpart provides various choices that will make you satisfied and happy when you are making your own tour package. You can choose from 1 to 5 stars hotel. This is the best part since you can make your own package deal, Travpart let you decide how pricey it will be. So you can balance it with your budget and get your holiday with the cheapest package deal ever! 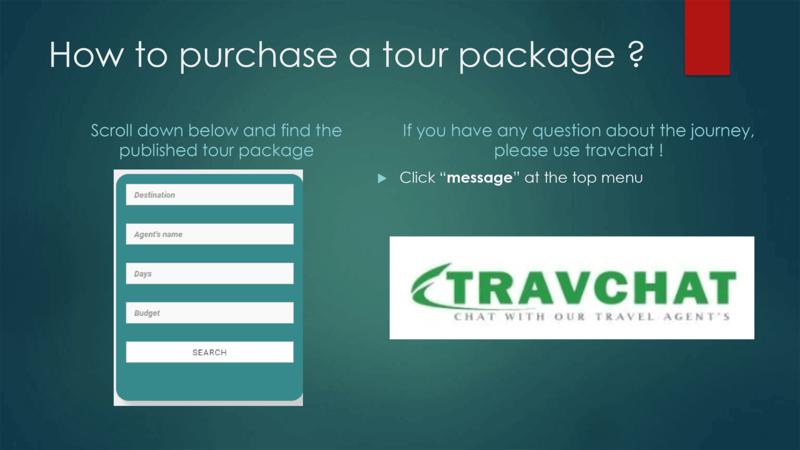 But if you are too lazy to make your own tour deal, don’t worry, Travpart will provide you with their own tour deal. Just choose the one that suit you and you are ready to go. Travpart is here to help you with making your holiday more fun and making more money! Everyone wants to know how to make good money, boost their income, make more cash, legitimate and simple. There are a lot of ways to do so, some are the risk of getting more good money, but it is worth the effort when you already know where to look and what to seek. One of which is being a travel agent. Travel agencies are continually looking for a fresh agent that has local knowledge of their destination, they are growing out constantly to branch out other than the mainstream routes and experiences. Travpart.com is traveling and touring website to some the most recommended and seek destinations all over Indonesia, including their best destination according to TripAdvisor 2017’s Best Destination; Bali, Indonesia. Being a travel agent may be a challenging one if you are strictly on budget yourself and travel over to another island, but with contacting their company and getting to know what they have to offer and assist you in your journey to become a professional agent will make it easier. Learn a lot and know a lot on where you want to be at as a travel agent is paramount. Get a feel of your contacts around that certain area, what accommodations are available that will suit customers from all over, how much they can cost and what is the surrounding facilities, leisure and sightseeing landmarks that can be a great experience for your customers. Also, you have to decide where you will be working on; either offline on a move or online on a desk. With the ease of being an online travel agent, you can communicate, make the deal and create an itinerary in the comfort of your own home or office. Of course, you will need to interact with your customers, get to know them personally and see what they will like to make it so much easier to create, sell and making the deal for the trip of a lifetime. Click Message button to chat up with their company. Or scroll down to the bottom of the main page and click Partner section. When you feel like you are ready to go to work, reel in your customers. Set up advertisement alongside the company and other affiliate agents that you are available for contact. Promote their website and your service to get your clients to come to you for setting up their itinerary and tour packages that they desire. 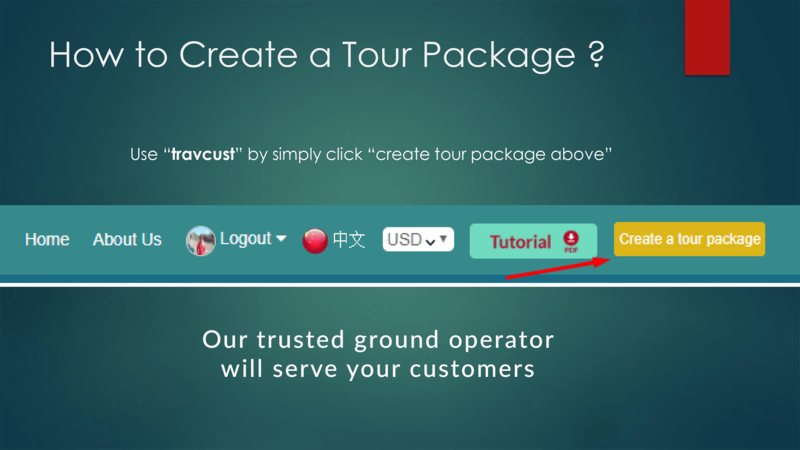 Either you can offer them already published tour packages that can be found on the main page of Travpart.com or you can provide them a service by doing a custom-made itinerary that you can make for them to get the best experience AND get more cash out of for yourself! As you can see, it is simpler more than ever to be a travel agent, but quite a complex footwork to getting into the business making good money. But when you’ve become proficient on this occupation, you will be rewarded handsomely for your dedication and hard work; all in the comfort of your own home! So, that is how to get money with Travpart. Now, what are you waiting for? Get a boost in your income with great opportunities and experience like never before! See more by visiting Travpart and TourFromBali today! 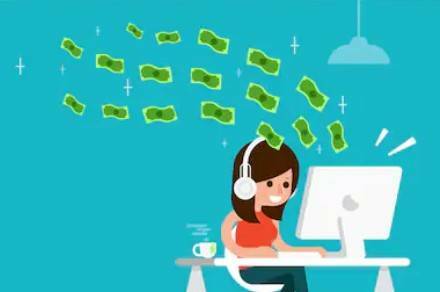 ﻿How Do Travel Agents Make Money? A travel agent makes money out of fees, affiliating cuts and commission charges from their transactions between them, the customers and the traveling agency – that is the brief explanation. However, to explain even further how Travel agents make money has more factors to it that can entice you to join in the industry and make money out of this occupation as well. Being a Travel agent used to be something that is profitable before the 1990s, it was so profitable that they might be billionaires today in comparison to other occupation. However, with the change of time and people having access to information in lighting speed, Travel agents have other means to get customers and income. 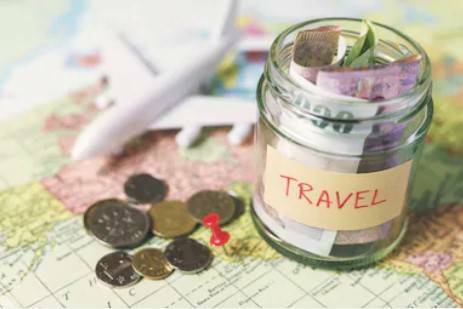 Today, Travel agents make money through the means of matching customer’s preference to the service, accommodation, and plans that are available. They seek the clients’ likes and dislikes of what they want to taste at first, then they learn and gather knowledge of where and what might be best suited for the clients. Customers can book, schedule and plan their trip on their own, but with a Travel agent helping them, they can do a lot more than what might be written on the sites. Travel agents can get you the same price deal and add some additional perks and compliments to the itinerary the customers might be seeking from their journey and vacation. This is whom Travel agents come in handy, and they will learn the customer’s destination, upgrade their plan and packages, and manage their vacation into a dreamy one. With this trust and commitment built up through customer’s satisfaction, Travel agents often get more from every transaction they get overtime. As Travel agents create the customer’s itinerary, they get paid, mostly by the time they have used to make the arrangement and management that will consume a lot of resources and time. They could get their money up front before the making of the trip plans or afterward, when it is finished. It is a time consuming and a complicated matter to explain entirely, but it is clear that Travel agents are counselors, planners, and time-laborers that carefully plan their customer’s trip to be the best there is in order to get more money out of it. Also, the most interesting thing is that as a travel agent, you will be very thankful because travpart can help 90% of your duty as a travel agent like what has been mentioned above. How can that be? 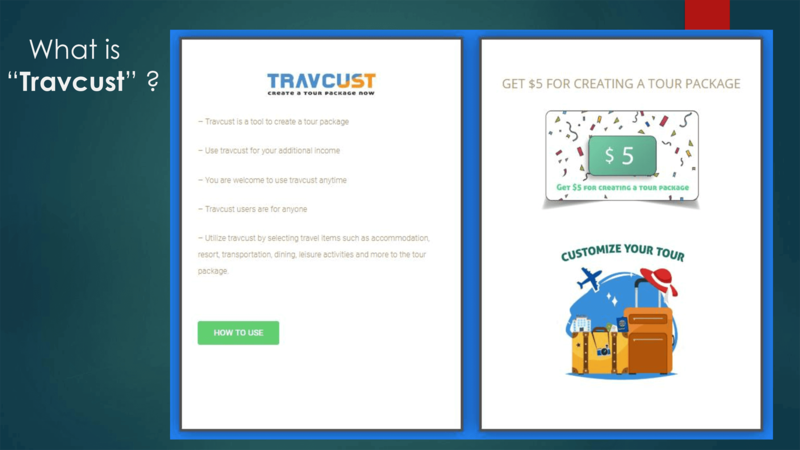 It is because travpart is a platform to help a travel agent create their travel packages using the materials provided by the platform, and you can sell it at once from the platform. Travel agents have different sectors according to the condition and customers that they are facing with; Corporate, Leisure, and those who make custom itineraries instead of those who book packages for the customers. Corporate travel agents make their money out of airline tickets. They would also provide fees to services to accommodate the customer from private or high-class vendors to complete the business trip. Generally, they would make from $26 and up to $44, either from a phone call or online. Leisure travel agents are the more familiar sight agents that plan for your trip. They are also mostly home-based. They would sell tickets for packages and cruise trips that might come along with it. They would charge the customers with different fees for booking, planning, scheduling and managing their vacation and to get to their destination and back according to the customers’ preference. 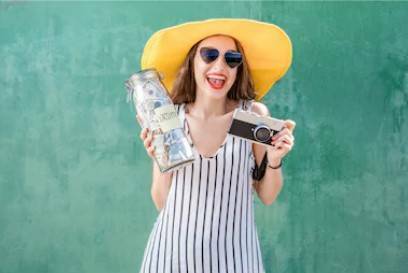 These Travel agents could make similar income as the corporate travel agents for their service, but it can fluctuate differently if they are making a custom itinerary. Being a Travel agent might not be the easiest, but with dedication, proficiency and hard work to the cause of getting that raise, travel agents might get more out of what they were promised to get if they have done correctly, and the best part as a travel agent is you get paid while you are traveling. So, these are how do travel agents make money. They get their money of out the service of making plans, managing the journey and selling clients the trip of their lifetime. Moreover, when they have done this right, their reputation will go around; the more trustworthy a travel agent becomes, the higher the pay and better customers they shall receive.